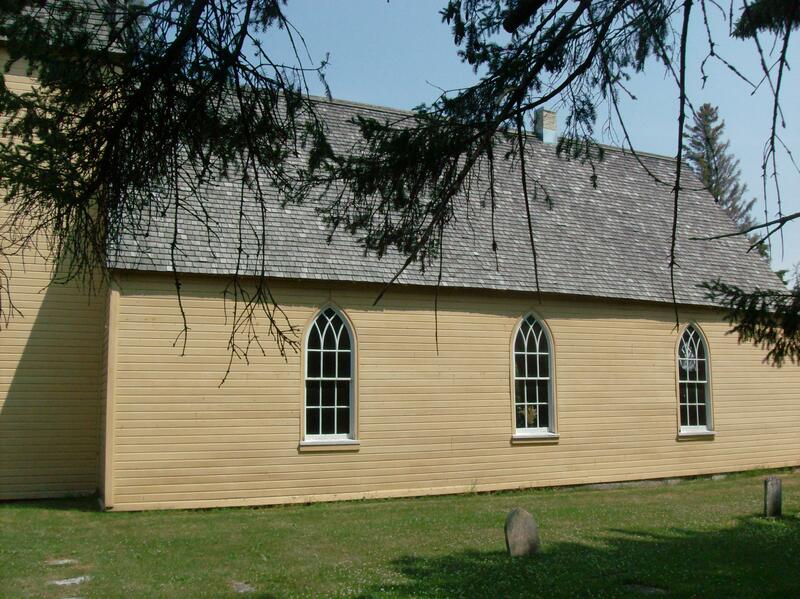 Built in 1864, St. Anne’s Anglican Church is one of the oldest log churches in continuous use in western Canada. 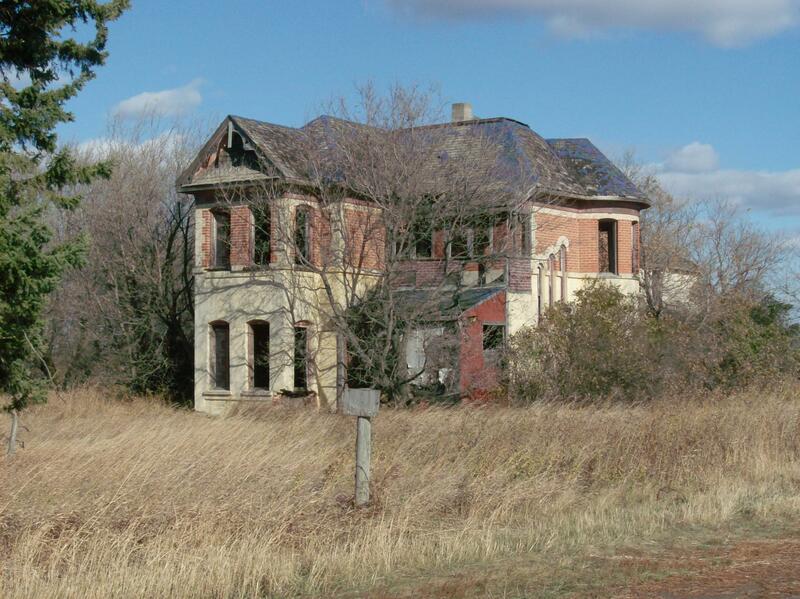 Situated on a peaceful treed lot and surrounded by graves that date back to the building of the church, St. Anne’s was constructed largely due to Archdeacon Cockran who was the founder of the Church of England Missions in the Assiniboine River valley. 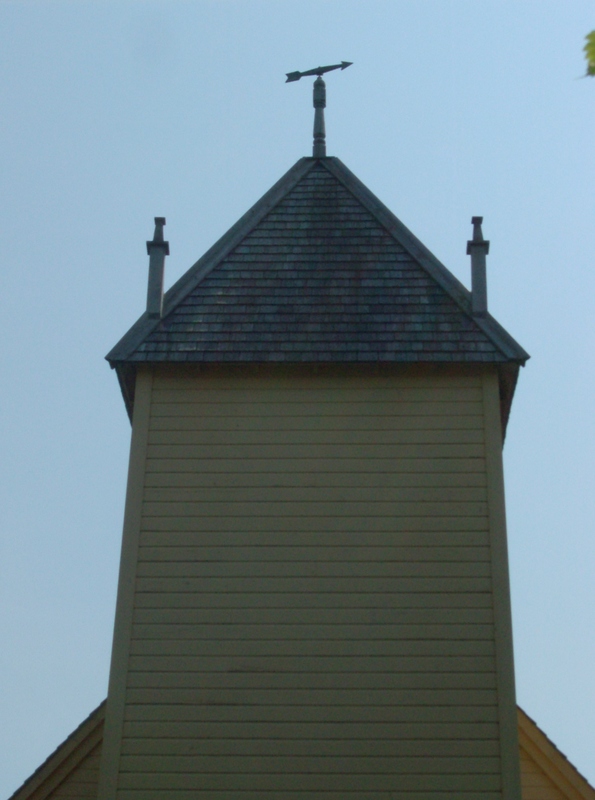 Its plan is a simple rectangular nave with an entry tower topped with a pyramidal roof and a pinnacle with a weathervane. The four corners of the roof sport wooden pinnacles as well. Three windows on each side of the church allow adequate light, aided by the window in the apse behind the altar. All windows including the skylight above the entrance feature Gothic Revival pointed arches and complementary tracery. 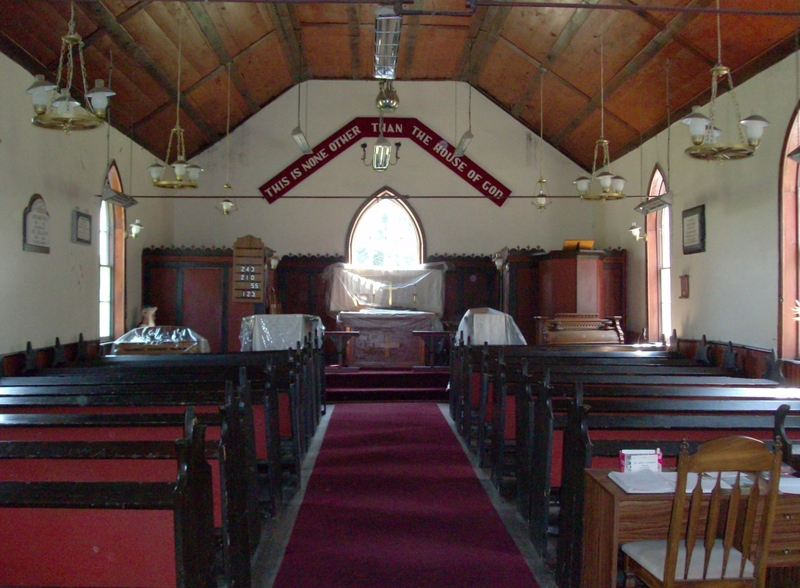 The above picture is of the entrance to the church. 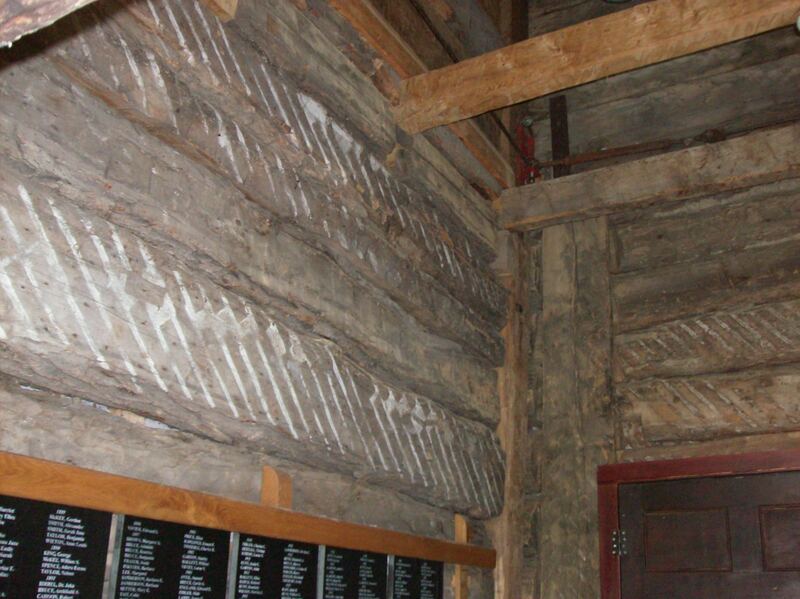 You can see the exposed log construction. 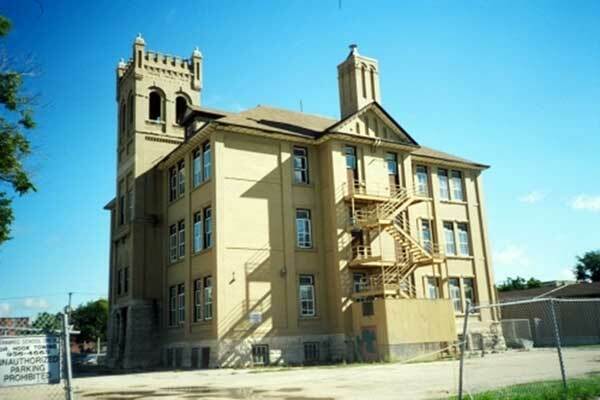 A building technique known as Red River frame, which was once the most common building technology in Manitoba, was used to build St. Anne’s. The method involved creating a framework of vertical logs, then placing short horizontal logs to fill in the spaces. 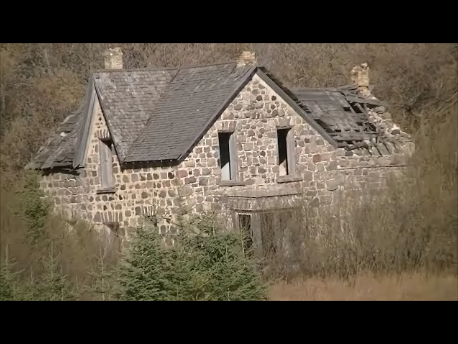 Of the few remaining Red River frame buildings in the province, St. Anne’s a prime and precious example. This picture of the interior of St. Anne’s displays the simple altar and the original plain decor of the church.